There is no denying that in our house, we love the countryside. Long walks, through the woods or by the beach, its a favourite pastime that helps us all to relax and appreciate all that our area has to offer. Darcie is of an awkward age, she loves to run around and explore but still tires if we are on a long walk - enter the BOB Revolution Pro. 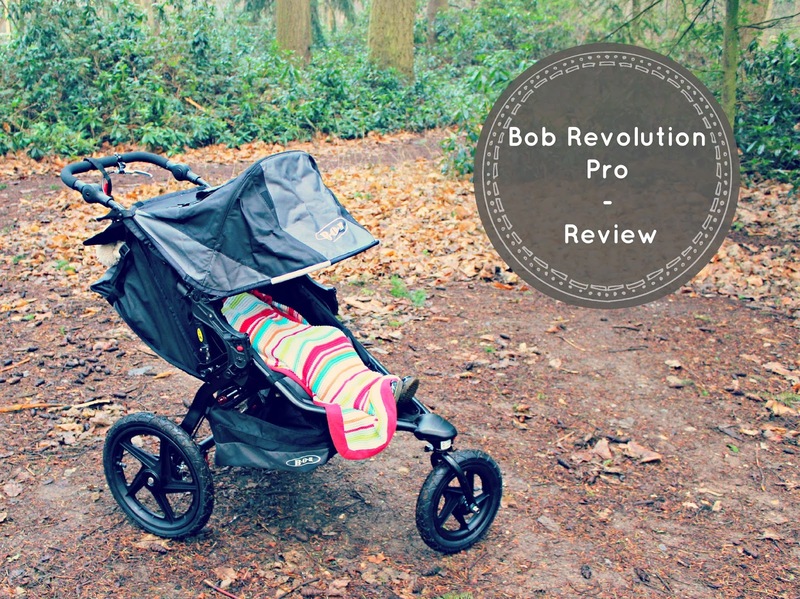 We were kindly sent the BOB Revolution Pro to review, and I have to say we were very excited as I have been eyeing these up at local Park Runs. This pushchair is simply "fully loaded" with fantastic features to allows you and your baby/toddler the chance to explore, keep fit or just nip into town, whilst being super safe and comfy. So lets run through everything that this fantastic pushchair has to offer. As I said, I first spotted these at a local Park Run. Lots of mums and dad runners seem to favour these and they looked so easy to push even when going off road whilst running. 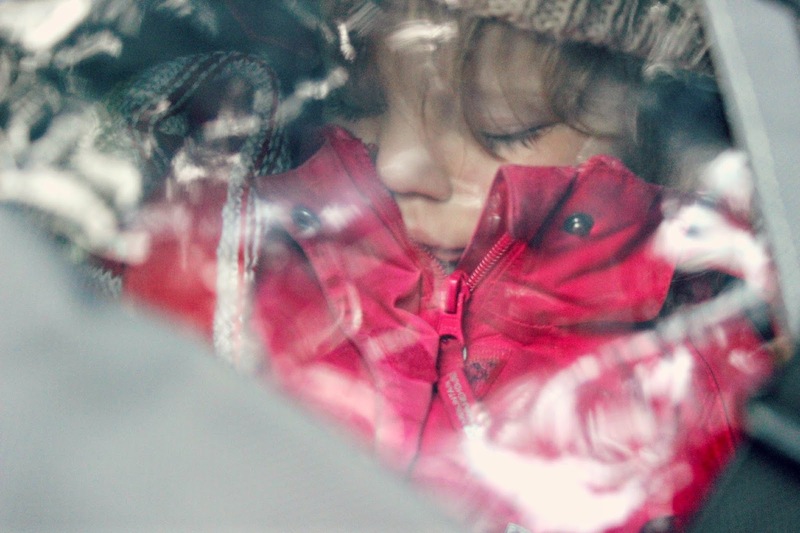 The children too, looked safe and snug - and not being thrown around like you would imagine. When I received mine I noticed it had a setting near the front wheel. 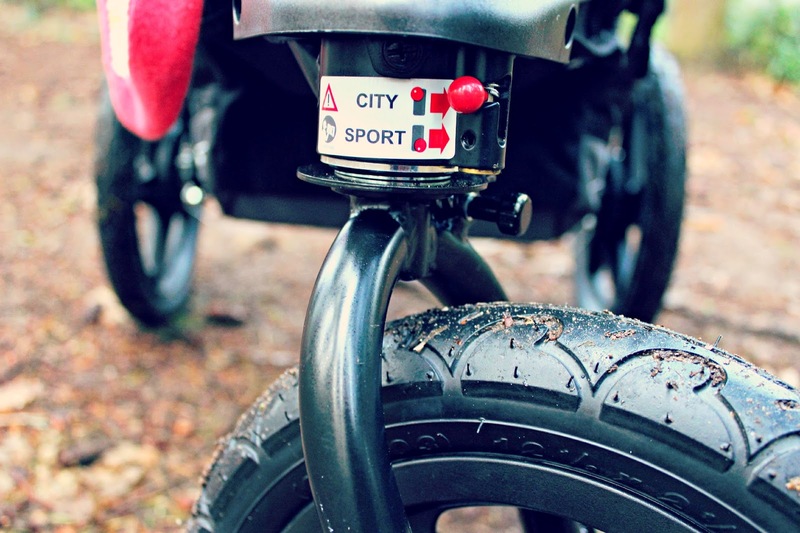 The city mode allows for the front wheel to swivel freely, whilst the sport mode keeps the wheel locked for improved stability whilst jogging or on trickier terrain. For the most part I have kept the wheel on city mode, and manoeuvres really well on all terrain we have tested so far. While we are on the topic of wheels, lets just talk about how great they are! I love that they are nice and chunky, it allows for such a smooth ride. 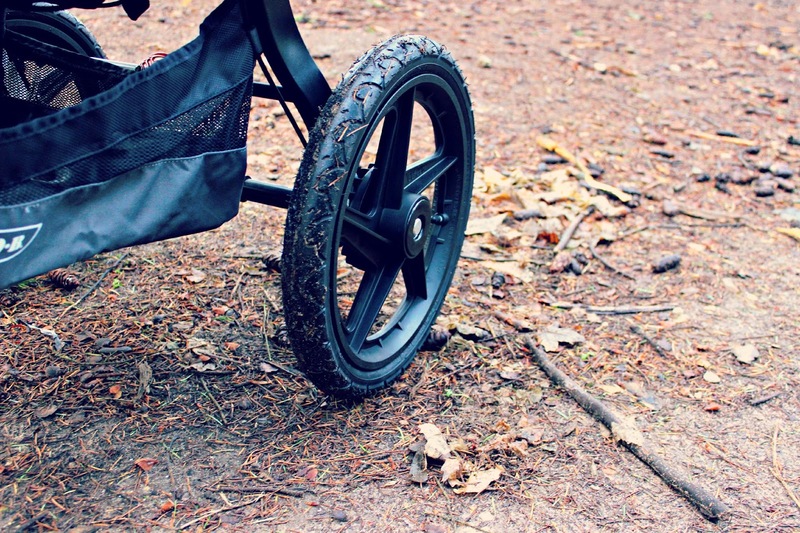 We never get stuck like we have in previous pushchairs when we go on our adventures through the woods. 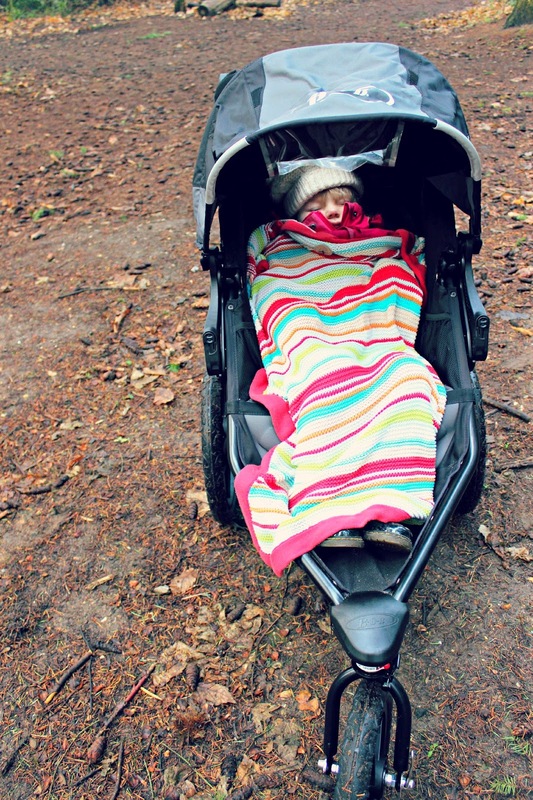 It really is the most fantastic pushchair for outdoor folks like us! 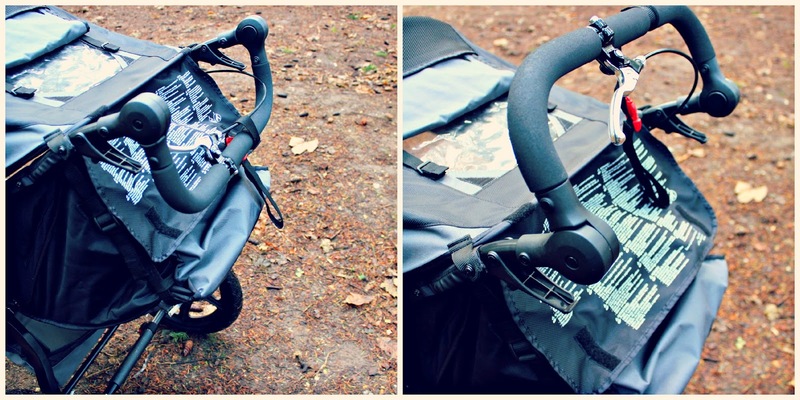 Additionally this pushchair is full of great safety features which can't go unmentioned. This pushchair boasts a hand activated rear drum brake, designed to add control to be able to conquer hills and inclines. You can also see here that it also has a safety wrist strap that also doubles up as a handy fold lock when the pushchair is folded. The handle bar also moves into 9 different positions. 9!!! I love this because, its great for my lanky 6ft 4 husband. Its also handy because you can move the handles into different positions depending of terrain and incline too. For example, I found putting the handle bar like on the picture on the right, is amazing for when you are going up hills - and really helps you push! As well as the hand brake it also has the traditional foot brake too. This is a simple feature that is very easy to use. In previous pushchairs I have been so frustrated with how fiddly these foot brakes can be - which given that they are a necessity, is quite worrying. So this pushchair pleased me a lot in this area! You can also see here the quick release clips for the tires, which is great if you have a smaller car boot. Surprisingly this pushchair folds quite nicely and easily (with a two step fold), for saying it is a fairly large pushchair. Another essential point is the comfort for little ones - as lets face it that is something key when purchasing a pushchair. The seat itself is well cushioned and is very wide with little pockets on the side to keep snacks and drinks to hand (such a nice feature in my opinion!). The back reclines fairly easily allowing little ones to have ultimate comfort when sleeping. And yes, Darcie actually falls asleep in this pushchair! Hurrah! I love the little window too, its great to able to keep an eye on them, giving parents piece of mind. Lastly, another great feature is the shopping basket. It's a descent size and nice and high off the ground so you don't get that really annoying scrapping along the floor like you do with some other pushchairs! There is also another handy storage compartment on the back of the chair, as well as the internal storage compartment near the seat that I mentioned earlier. 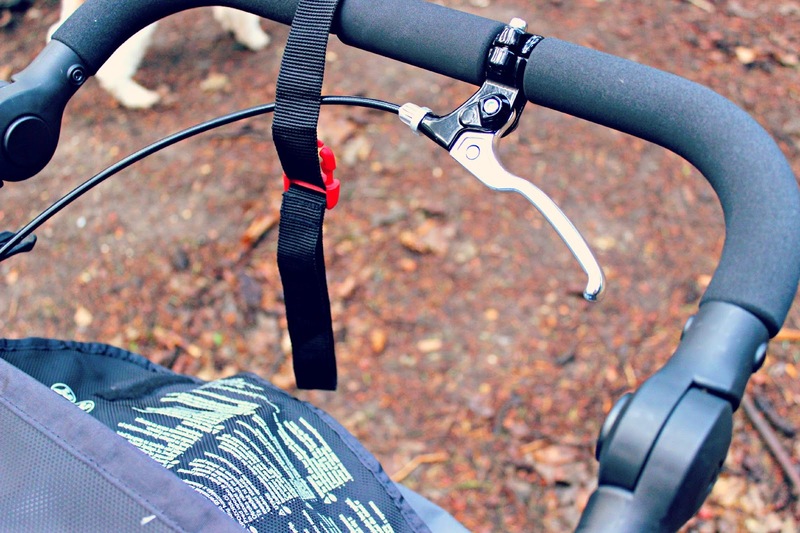 Adjustable handlebar with 9 different positions. Both sport & city modes to give you the smoothest ride on any terrain. 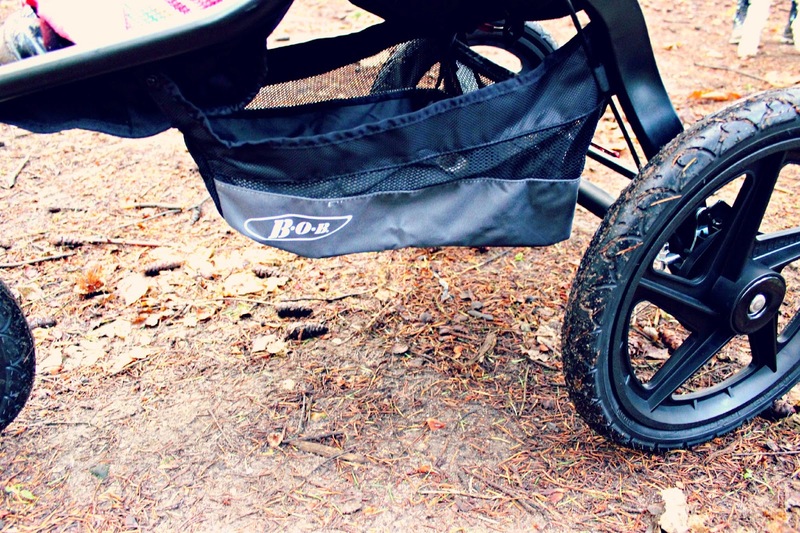 Brilliant suspension system, making sure you little ones have a smooth journey. Can be used from birth as a complete travel system using BOB B-Safe Infant Car seat & adapter. Adjustable reclining seat and five point harness. Large hood that you can adjust for protection against the elements. Large viewing window lets you keep an eye on your baby. Is also available as a double pushchair. Can be used as a jogger. 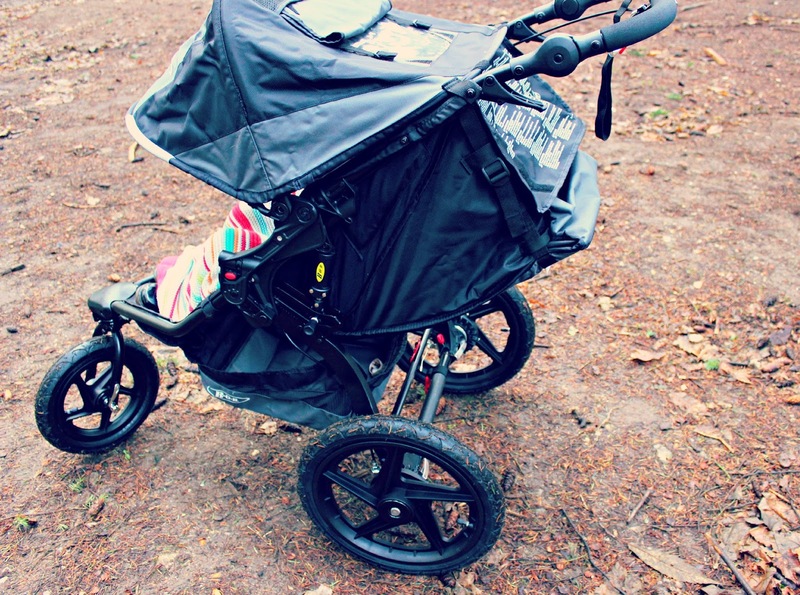 This pushchair is a fantastic all rounder that can be pushed to the limits. 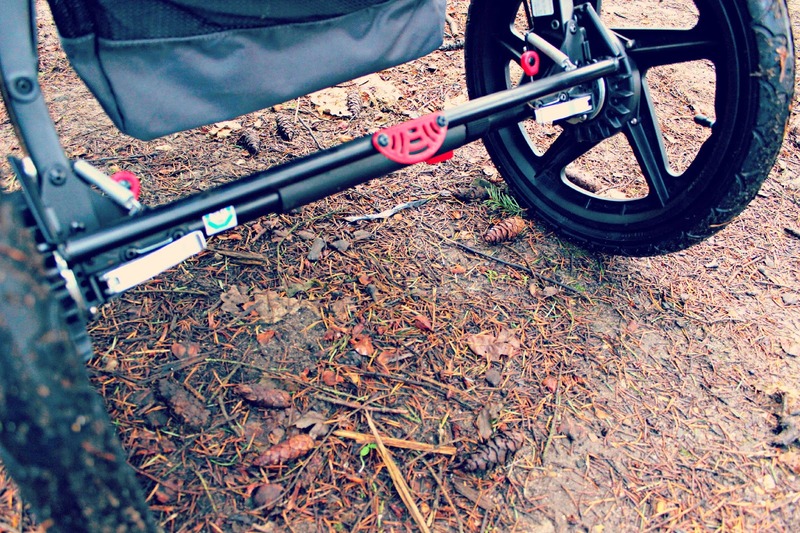 Meaning you don't have to miss out on any adventure, just because you have a pushchair! We have decided to take this pushchair with us to Disneyland next month. Darcie loves it so much and finds it so comfy, so will be perfect for long days at the park. What do you think of the BOB Revolution Pro? * I was sent this product for review, but all opinions and thoughts are my own.